Hello everyone and welcome to another Mattel Cars 3 1:55 diecast review! Tonight I'm taking a quick look at Phil Tankson (or better known by his sponsor Nitroade, No. 28), one of the many stock car racers seen at the beginning of the film! This diecast was released in the fourth quarter of 2017 in several cases (unlike the one I have here, some versions even come with a bonus mini poster and/or a collector's card); but even though he was represented in plenty of cases last year, I only just found him at my local Walmart last month. I didn't care which release it was (though I would have liked the one with the collector card), I was just thrilled to finally add this character to my collection. 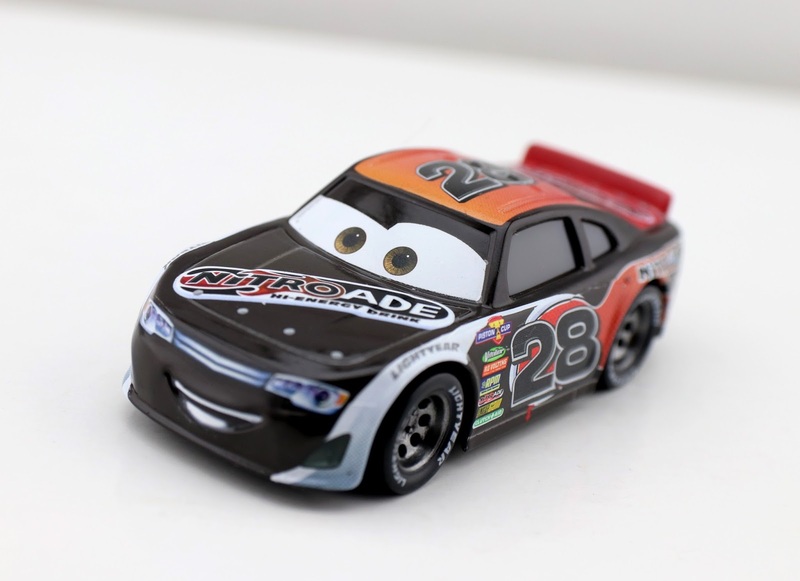 Phil supersedes Aiken Axler (from the original Cars) and then is replaced by the next-gen racer Tim Treadless—all of who share the same racing number (28). He can barely be spotted in the film, but he is there during the opening Motor Speedway of the South race (as shown in the screenshot above). Don't blink or you'll miss him! Honestly this design is a little dull (for me personally) and feels too similar to Aiken Axler's look (though that's no fault of Mattel, the diecast itself is great for what it is). It's not different enough to be very exciting, but is still a must have for me as a Cars completist collector! 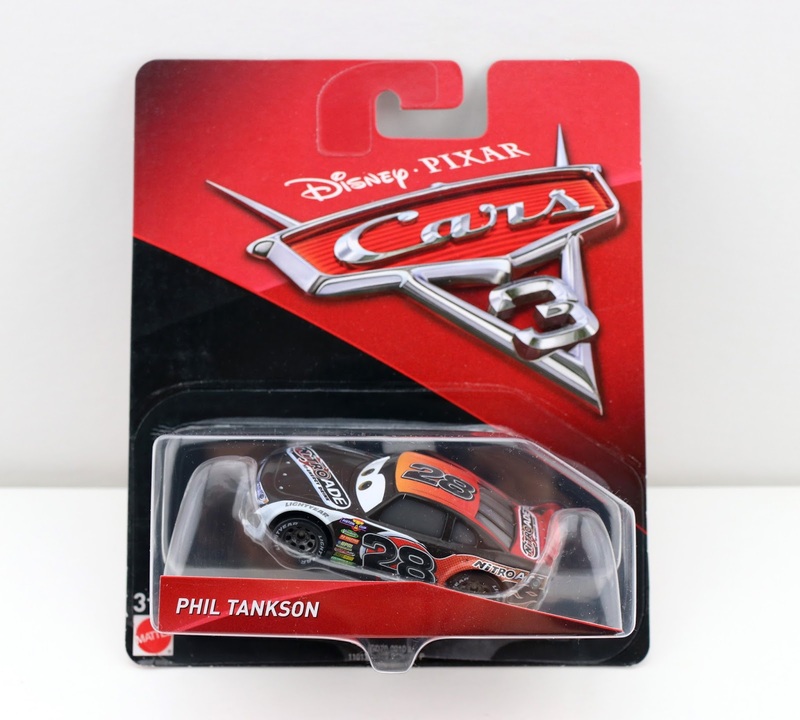 If you're still looking to add Mr. Tankson here to your Disney·Pixar Cars collection, hope isn't lost! If I can still find him in my area, there's a possibility you can too. Definitely check your local Walmart, Toys R Us and Target stores for availability or you can order her online using the direct Amazon link below. Happy hunting! Please message me with any questions or comments you might have.